Egg Curry – is a delicious North Indian curry of hard boiled eggs cooked in onion tomato masala gravy. 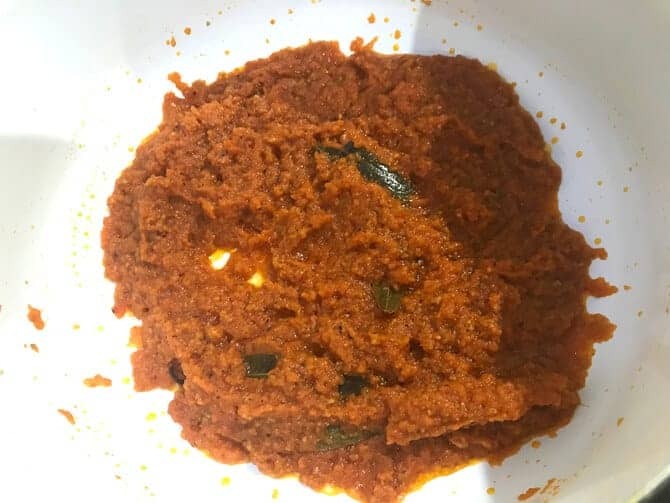 It is a perfect tariwali egg curry for rice or chapathi making a delicious combo for quick weeknight dinner or even weekend menu idea. So, up on the blog today, is a lip smacking simple and easy anda curry from my kitchen. 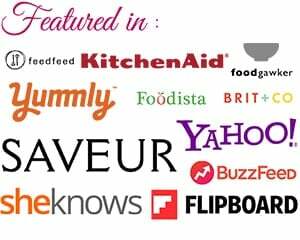 The lovely anda curry is quick to cook recipe that is so much blissful in taste. Here is how to make egg curry recipe at home. 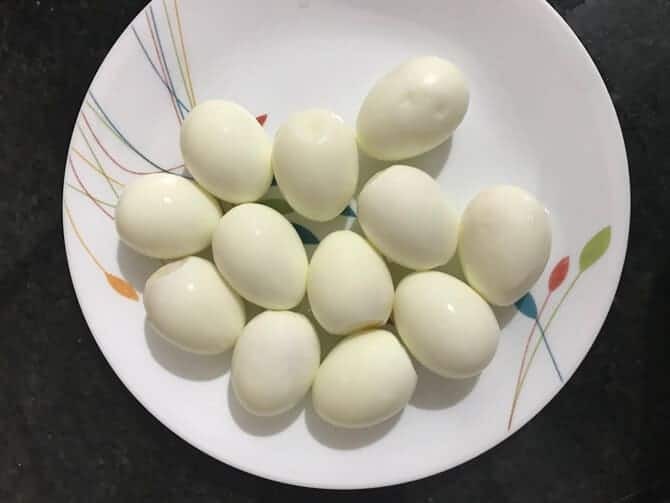 Eggs are universal thing which can be eaten anytime and can be used in any recipe be it snacks recipes or main course dishes. Egg sandwiches, egg burgers, egg rolls, masala egg, anda pulao, egg biryani et al are few of them, but very popular egg recipes. The most loved dish at my place is this north Indian egg kari, anda biryani . Furthermore, there are some really amazingly delicious egg curry varieties which I shall be soon sharing on the blog one by one. 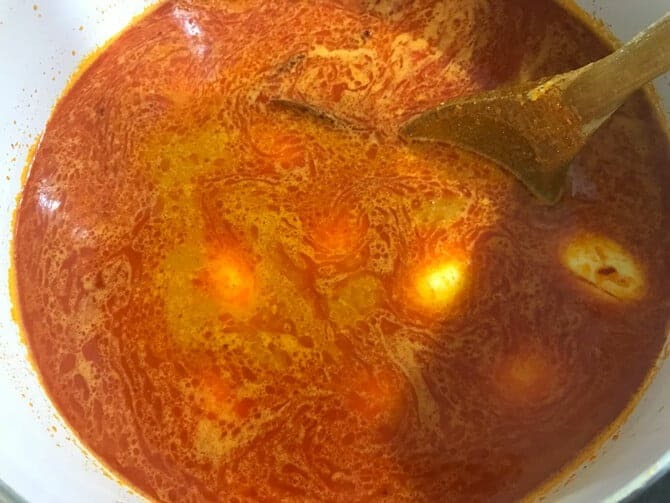 Coming back to this delicious boiled egg curry recipe, it is like whenever you are out of idea of what to cook next or do not want to cook anything lavish, this quick and easy egg kari gravy with hard boiled eggs and spices will chase your taste bud. We, at home, also call this dish as anda curry in hindi. It is basically a kari recipe which do not have thick masala gravy of egg curry varieties like punjabi egg masala or shahi egg korma. 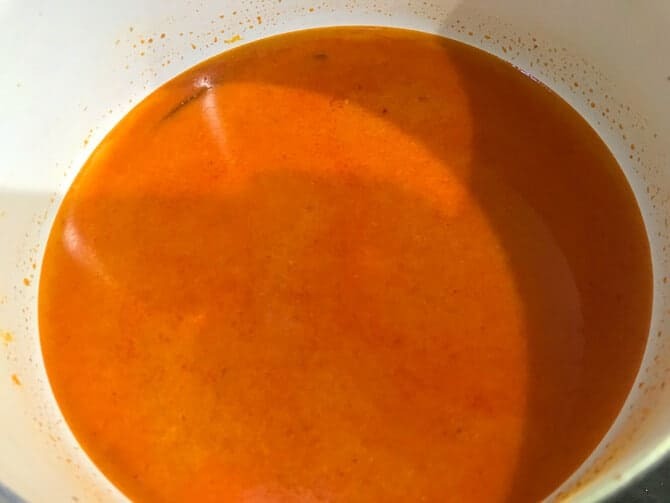 Instead, it is a thin masala gravy with delicious Indian spices. Definitely, this is one of the best egg recipes you will to enjoy with not only roti or paratha but with steamed rice, pulao and khichdi as well. I have made this recipe in the mix of oil and ghee. Trust me, making it purely in ghee will take this simple egg curry to a notch higher. Furthermore, apart from ghee, other ingredient that makes this masala egg gravy irresistible in taste is kasuri methi. The aroma is so exciting that while the egg gravy is on the stove, you will feel like serving it immediately. 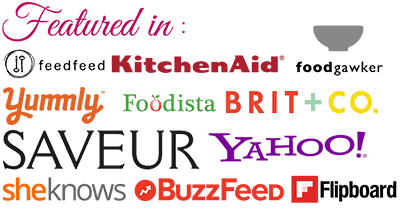 The list of our favourites includes this anda kari, chicken tikka masala, matar paneer and lovely desi chicken curry, do check these lip smacking recipes also. The spiciness of this curry can be adjusted accordingly. You may prefer it to be spicy, so all you need to do is just add few more green chillies to it or vice versa if less spiciness is the preference. Just increase the amount of green chillies to make spicy egg curry recipe. I am sure, none of the ingredients above are hard to find. In fact, these all must be very handy in regular use. 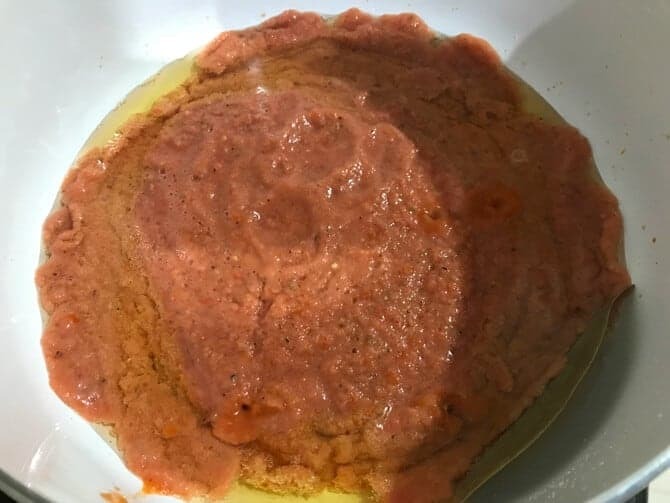 Also, the use of Kashmiri red chili powder gives a beautiful layer of red color to all the dishes and you would not be needing any food color to make your food colorful. 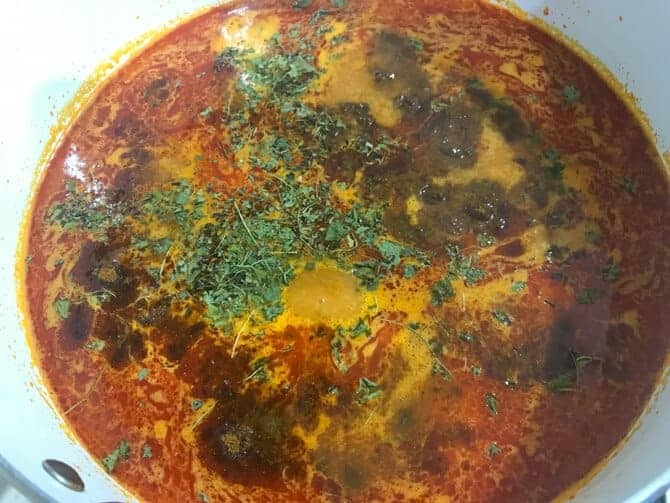 How to prepare egg curry recipe? To make egg curry recipe, we need to do a few basic preparations. First, boil and peel the eggs, then slit them and set it aside. 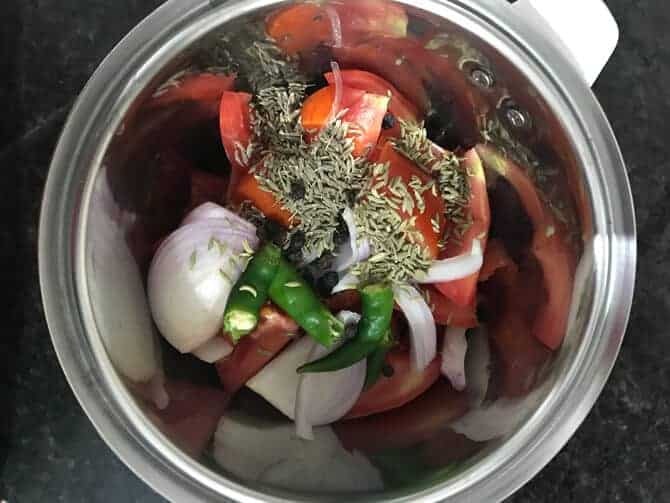 Then, blend the few ingredients like onions, tomatoes, green chilies, fennel seeds, cumin seeds and black pepper corns to a fine paste. Next, in a pan or a pot, heat the oil and ghee. 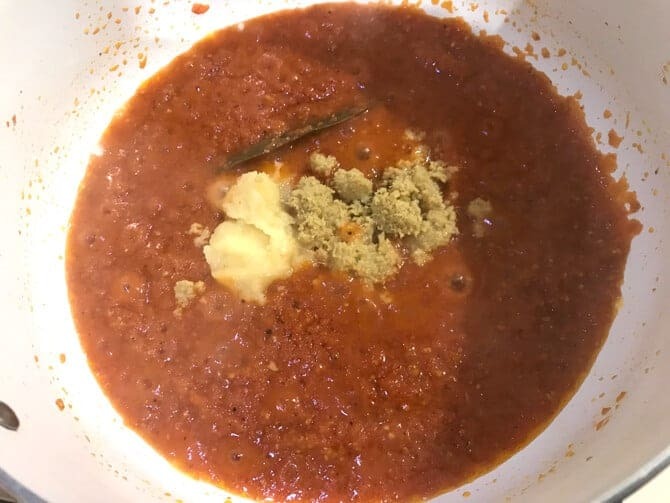 Now, add bay leaf and ground masala paste and cook until the water dries (for approx 3-4 minutes on high), While cooking onion tomato masala paste, cover the pot with lid and cook to avoid the tomato oil spill. Then, add ginger and garlic pastes and cook. Next, add the dry spice powders and cook for another few minutes until masala leaves oil. Once the masala is cooked, add whisked yogurt and water as per the consistency of gravy you need. Bring it to a boil and add slit eggs and simmer for another 7-8 minutes.Then, sprinkle garam masala powder, kasuri methi and cook. Finally add the coriander leaves garnish and delicious simple egg curry recipe is ready to enjoy with rice and chapathi. Serve it with tawa roti or lachcha paratha or steamed rice along with salad on the side. 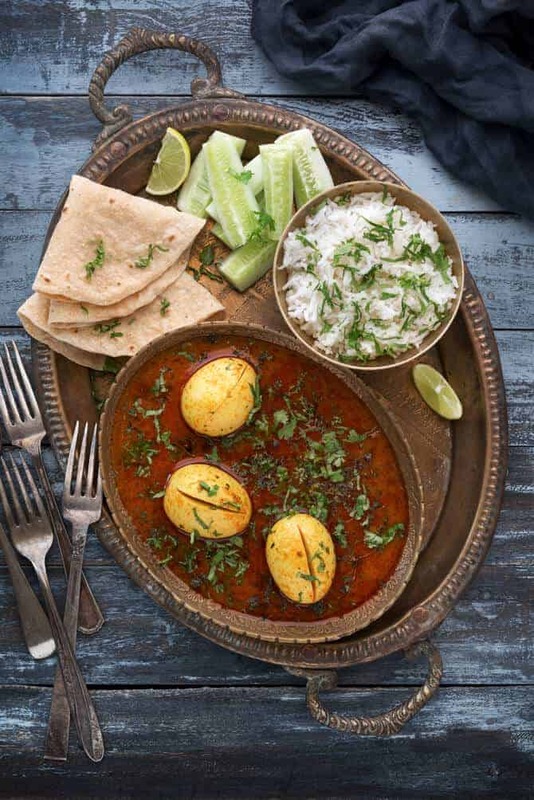 Furthermore, you can serve this egg curry masala with jeera rice, tandoori roti or phulkas. On the whole, you will love this egg kari so much so that it will make to your weekly menu ideas, a perfect Indian meal plan for egg lovers. Frequently, I use coconut oil also to make South Indian egg recipes especially the Kerala Egg gravy with coconut milk. My family enjoys south indian anda curry with dosa or steaming hot rice. 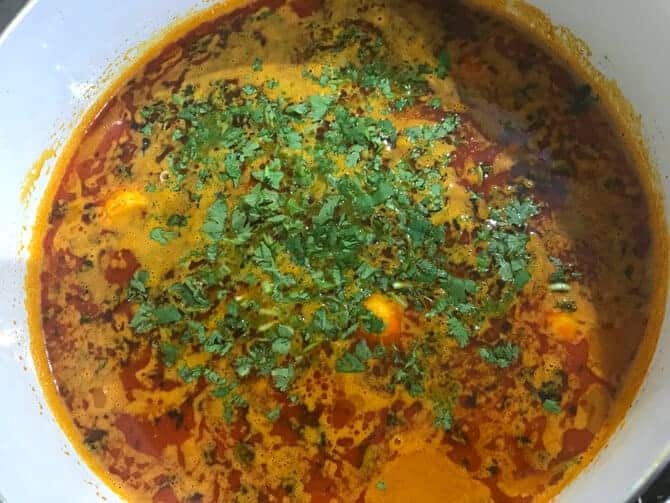 Indian Egg Curry Recipe - is a delicious recipe of hard boiled eggs cooked in onion tomato masala gravy. 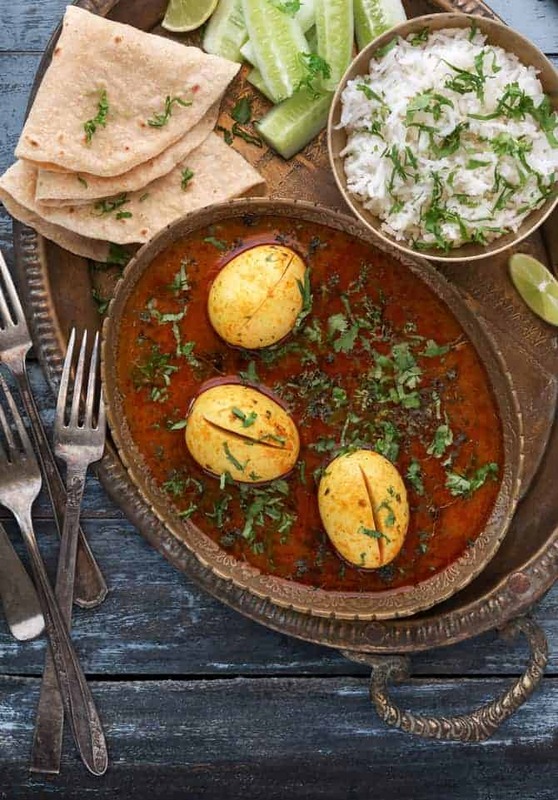 This simple egg curry goes very well with any Indian flatbreads like tawa roti, tandoori roti or lachcha paratha. Here is how to make best egg curry at home. First of all, grind together tomato, onions, green chilies, fennel seeds, cumin seeds and pepper corns. Grind it to a fine paste. 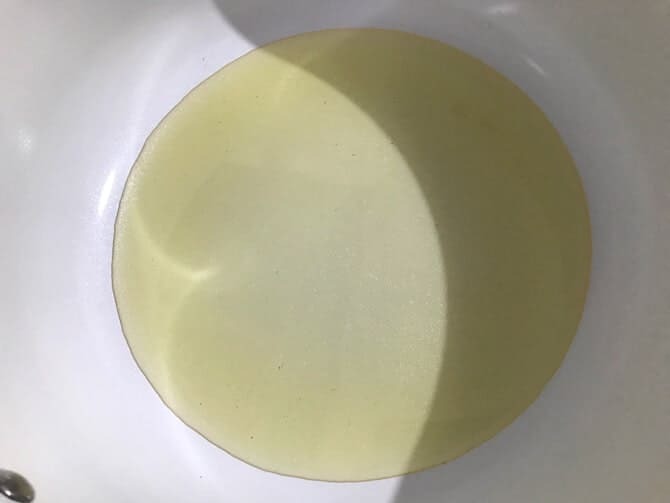 In a heavy bottom pan, heat oil and ghee together. Then, add bay leaf and fry for few seconds. Now, add ground paste and saute for high for 3-4 minutes. Add ginger-garlic paste and mix. Cook for few minutes until masala leaves oil and looks bhuna well. Then, add all the masala powder and mix except for garam masala. 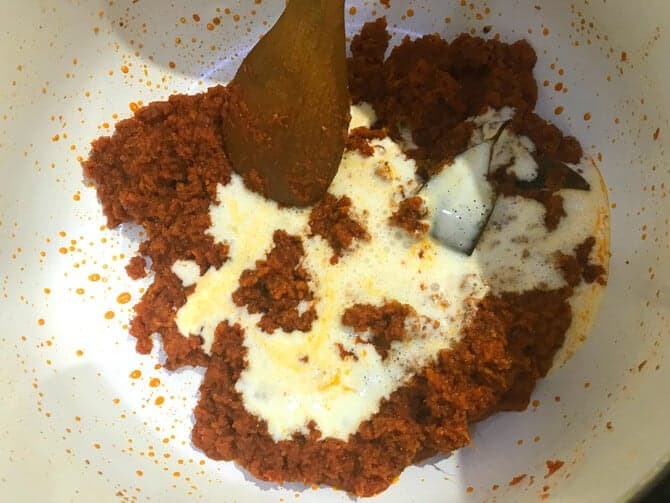 Once the bhuna masala base is ready for tariwali egg curry, add whisked yoghurt and mix well. Now add water as per the consistency you require. I preferred thin gravy, so added the water accordingly. Bring it to a boil. Now, slit the boiled eggs and drop them gently in the gravy. Cook for 5-8 minutes on low heat. Lastly, add kasuri methi, garam masala powder and mix. Dish out and garnish with coriander leaves. Serve hot with phulkas and steamed rice. Firstly, boil the eggs, peel it and keep it aside. 2. Secondly, add tomato, onions, green chilies, fennel seeds, cumin seeds and pepper corns in a blender. 3. Then, grind everything together to a fine paste. 4. Once the masala paste is ready, then in a heavy bottom pan, heat oil and ghee together. 5. Then, add bay leaf and fry for few seconds. Now, add ground paste and saute for high for 3-4 minutes. 6. After the gets sauteed for some time, then add ginger-garlic paste and mix. 7. Cook for few minutes until masala leaves oil and looks bhuna well. 8. 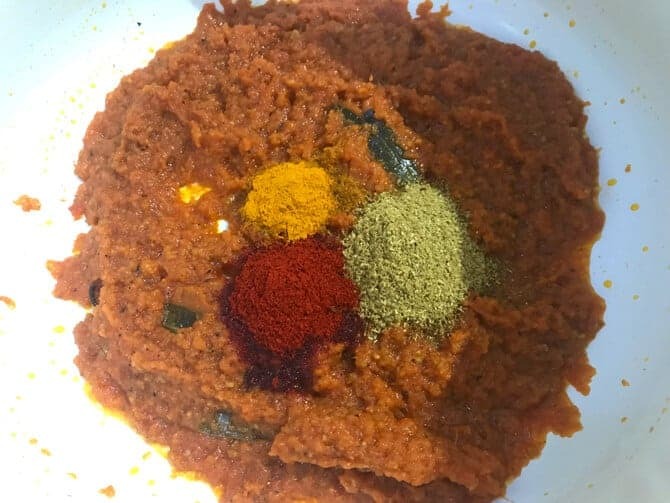 Then, add all the masala powder and mix except for garam masala. 9. Once the bhuna masala base is ready, add whisked yoghurt and mix well. 10. Now add water as per the consistency you require. I preferred thin gravy, so added the water accordingly. Bring it to a boil. 11. Now, slit the boiled eggs and drop them gently in the gravy. Then, cook the curry for 5-8 minutes on low heat. 12. Lastly, add kasuri methi, garam masala powder and mix. 13. Now add coriander leaves and mix. 14. Delicious North Indian egg curry is ready to serve. Serve hot with phulkas and steamed rice. 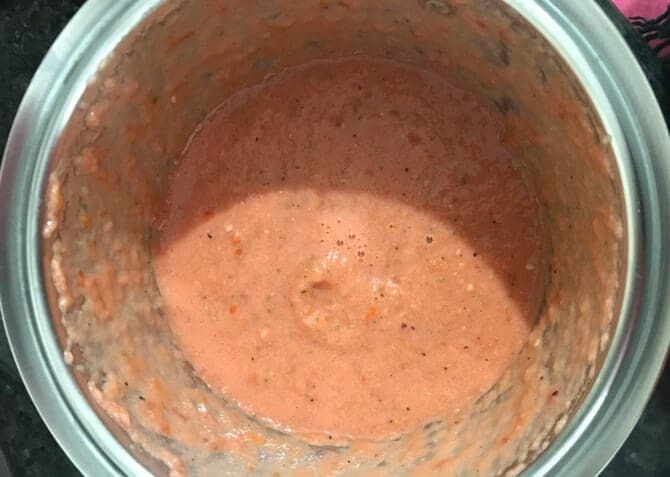 Can I use milk or cream instead of yogurt to form mixture well?